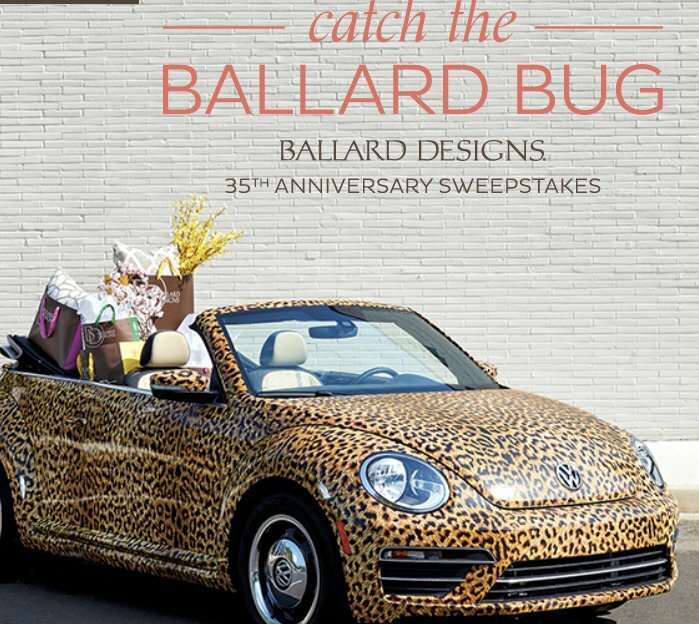 Grand Prize is a 2018 VW Convertible Turbo Beetle worth $35,000.00. After you enter be sure to test your luck with our Scratch Off game to see if you're one of the lucky winners. First Prize: (1) $3,500 Ballard Designs merchandise certificate.